The world is becoming increasingly global. This raises important challenges for regulatory processes which still largely emanate from domestic jurisdictions. In order to eliminate unnecessary regulatory divergences and to address the global challenges pertaining to systemic risks, the environment, and human health and safety, governments increasingly seek to better articulate regulations across borders and to ensure greater enforcement of rules. But, surprisingly, the gains that can be achieved through greater co-ordination of rules and their application across jurisdictions remain largely under-analysed. 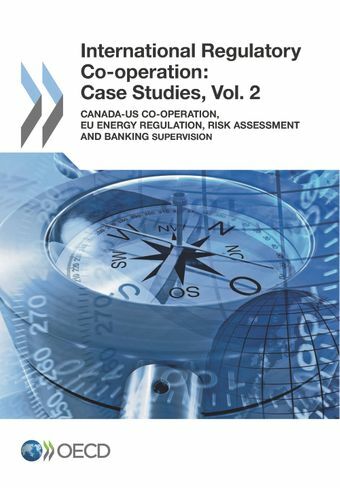 This volume complements the stocktaking report on International Regulatory Co-operation: Rules for a Global World by providing evidence on regulatory co-operation in the framework of the Canada-U.S. Regulatory Cooperation Council, as part of EU energy regulation, under the Global Risk Assessment Dialogue, and in the area of prudential regulation of banks. The four case studies provided in this volume follow the same outline to allow for comparison.